It's come down to the Season 5 finale on Sons of Anarchy. 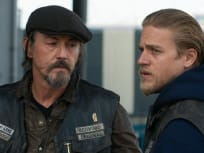 Will Jax really turn Tig over to Pope? Jax pictured a new direction for the club this week. But can he get it there? 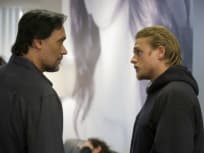 Nero deals with his former crew on Sons of Anarchy this week, while Jax scrambles to get his affairs in order. Jax tries to avoid backlash on this episode of Sons of Anarchy. He ends up going ahead with his own agenda. Jax must overcome obstacles in his search for the truth on this week's installment of Sons of Anarchy. 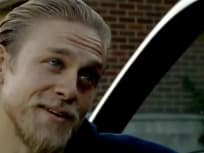 Alliances gets pushed to the breaking point on this episode of Sons of Anarchy, as Jax searches for evidence to condemn Clay. 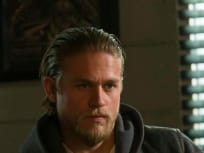 Complications arise this week on Sons of Anarchy. So Jax steps in and takes control. 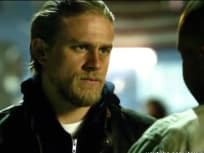 Jax brings a new proposal to SAMCRO this week. And it brings with it some serious consequences. What new business is out there? 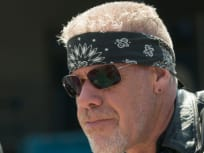 SAMCRO looks into it on this episode of Sons of Anarchy. Rest in peace, Opie. 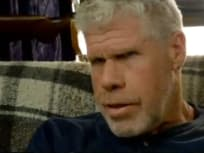 This Sons of Anarchy episode is dedicated to the burying one of the club's own. SAMCRO finds itself in a desperate situation this week, as internal strife affects the club. Mistakes and sins from the past resurface for Jax and SAMCRO on the second Sons of Anarchy episode of season five. 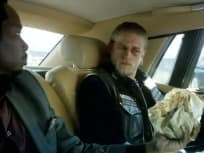 Jax is now the SAMCRO President. We delve into the ramification of that move on the Season 5 premiere of Sons of Anarchy. Tig: Oh come on there's nothing wrong with the occasional skank. Jax: Time to pull out, I wanna go home. Sons of Anarchy Round Table: "Darthy"